The MSRB recently announced that the Series 50 permanent exam will be available starting on September 12, 2016. The Series 50 pilot exam, which was a precursor to the permanent exam, was available from January 15, 2016, to February 15, 2016, and helped to set the permanent exam passing score of 71%. The MSRB also removed the reference to Rule G-32 (“Disclosure in Connection with Primary Offerings”) from Function One, most likely because this is more relevant to brokers, dealers, and municipal securities dealers than it is to municipal advisors. Finally, the MSRB added three new sample questions at the end of the outline to replace sample questions 2, 3, and 4. 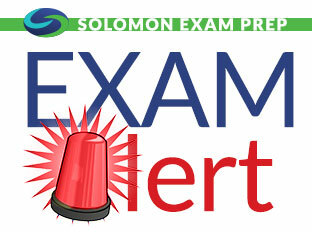 Solomon Exam Prep has helped thousands pass the Series 6, 7, 63, 65, 66, 24, 26, 27, 50, 51, 52, 53, 62, 79, 82 and 99 exams. For more information visit SolomonExamPrep.Com or call 503.601.0212. Question (Relevant to the Series 50): Charles lives in Concord, New Hampshire, and buys a bond issued by that city. What is most likely true of this bond? Answer: D. It is a triple tax-free bond. Today, the MSRB announced that they will make the permanent Municipal Representative Qualification Exam (Series 50) available on September 12, 2016. On that day, a municipal advisor will be able to open a 120-day examination window for a municipal advisor representative. Also, anyone who took the Series 50 pilot exam was notified today whether or not they passed. Individuals who took the Series 50 pilot but did not pass will have an extended exam window of one year (September 12, 2016 – September 12, 2017) to retake the exam one time for free. The permanent Series 50 exam will have 100 questions. The passing score of the permanent Series 50 exam will be 71%. Students taking the permanent Series 50 will have 3 hours to take the exam. The fee to take the Series 50 exam will be $265. If you took and passed the Series 50 pilot exam and you stop working for a municipal advisor, your Series 50 qualification will remain valid for two years. The MSRB is providing a one-year grace period during which individuals will be able to take the municipal advisor representative exam while still engaging in municipal advisory activities. That means that municipal advisor representatives are not required to have the Series 50 qualification until September 12, 2017. Municipal advisor representatives may indicate that they passed the Series 50 exam but suggesting that passing the Series 50 makes you more qualified than someone who hasn’t could be misleading and might get you in trouble with the MSRB or the SEC. The Series 50 content outline is being updated and will be made available on the MSRB web site by July 1, 2016. Solomon Exam Prep is updating its Series 50 materials based on customer feedback and based on regulatory and MSRB exam outline changes. 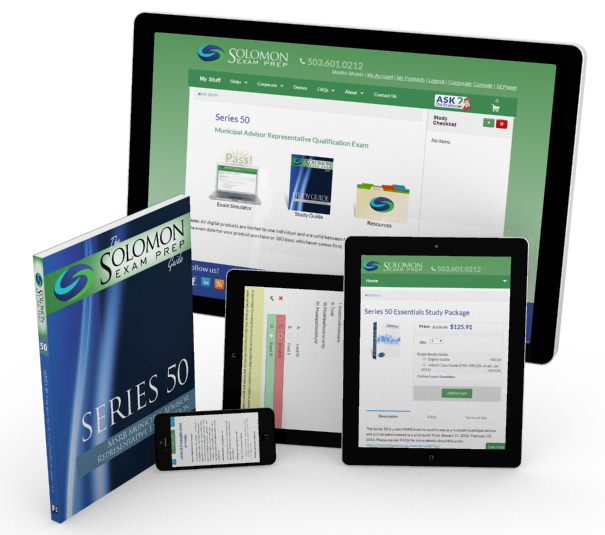 Solomon Series 50 pilot students who did not pass the Series 50 pilot exam, will receive another 180-days of access to their Solomon Series 50 study materials. Please contact us either by phone at 503.601.0212 or via email (info@solomonexamprep.com) to have your account reset. 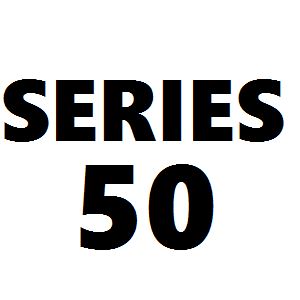 Follow us to keep up-to-date with all Series 50 updates and news! Series 50 Materials – Now Available! 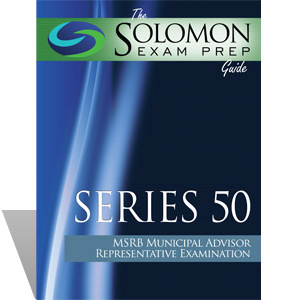 Solomon Exam Prep has been diligently preparing study materials for the Series 50 exam since the MSRB’s announcement of its new Municipal Advisor Representative Qualification Exam. An initial pilot exam will be taking place from January 15, 2016 – February 15, 2016. We are happy to announce that our Series 50 study materials are now available to give you plenty of time to study before taking the pilot exam! Solomon Exam Prep is happy to offer both an Exam Study Guide (digital w/ hardcopy to follow, available for pre-order now) and Online Exam Simulator for the Series 50 exam. You can purchase all the tools you will need to pass in our Series 50 Essentials Study Package and save 10%! We encourage those needing to take the new Series 50 exam to take the Series 50 pilot exam. This is a great opportunity to take the new exam without any penalties for a failure – the enrollment window is open until January 14, 2016. For more information on the Series 50 pilot exam, see the MSRB website. We will continue updating our Series 50 materials as the exam becomes more established during and after the pilot exam, and we look forward to helping you pass! Author ProfessorPosted on November 25, 2015 November 25, 2015 Categories Series 50Tags MSRB Exam, Municipal Advisor Exam, Pilot Exam, Series 50, Series 50 Pilot, Series 50 Study Materials, study materialsLeave a comment on Series 50 Materials – Now Available! The fee to take the exam is $265. Municipal advisor professionals can be enrolled by submitting Form U10 on the FINRA website. Test-takers will receive their results in the mail 2-3 months after taking the exam. The MSRB does not currently have a projected passing score for the pilot exam, but Gail Marshall, MSRB Associate General Counsel – Enforcement Coordination, says that the passing score for the Series 50 permanent exam “will be determined using the American Psychological Association’s Standards for Education and Psychological testing” and that the process will be supervised by an expert psychometrician. The pilot exam will contain 120 multiple choice questions, and will begin with a thirty minute tutorial that explains how to take the computerized test. Test-takers will have four hours to take the Series 50 pilot. Although the Series 50 content outline will continue to change as rules are updated, according to the MSRB, there are no expectations that the content outline will change between the pilot exam and the permanent exam. The Municipal Advisor Representative Qualification Exam (Series 50) is designed to test the minimum standards required of municipal advisor representatives and municipal advisor principals, two new classifications created when the MSRB revised Rule G-3 to meet the requirements of the Dodd-Frank Wall Street Reform and Consumer Protection Act. The exam covers basic knowledge of the internal workings and regulations of the municipal advisory system. The MSRB intends to develop an additional exam for municipal advisor principals, but as of this writing no further information about the principal-level examination has been released. The Series 50 will initially be rolled out as a pilot exam, and it will be available to anyone who works in a municipal advisory capacity. The pilot exam is designed to help the MSRB evaluate its bank of test questions and determine an appropriate passing score. There are a few good reasons to volunteer to take the pilot exam. If you pass the pilot exam, you are not required to take the permanent exam. While there is a fee for the pilot exam, if you do not pass, then your fee for the permanent exam will be waived the first time you take it. Additionally, if you fail the permanent exam, you must wait thirty days before taking it again, and after your third attempt you must wait 180 days before another attempt. However, the pilot exam will not count against these attempts. And last but not least, a failure on the Series 50 pilot exam will not go on your CRD record. Test takers will be allotted half an hour for an exam tutorial and four hours for the exam itself. 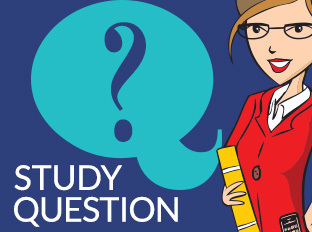 The exam will contain 100-125 questions, which will be drawn at random from the Series 50 question database. You will be notified of your results about three months after taking the exam. To register for the test, visit Pearson VUE at www.pearsonvue.com/finra or Prometric at www.prometric.com/finra.